Theresa is an avid practitioner of traditional living skills and primitive technology of all kinds. An interest which came in part from growing up in the Rocky Mountains in the USA, where backpacking, hunting and fishing were part of the culture. She has followed this interest into the academic field of Experimental Archaeology in which she holds a PhD from the University of Exeter in the UK. Theresa has been tanning skins using traditional technologies for over 25 years. Learning to tan was a natural offshoot of the attempt to use as much of the animal as possible and had the added bonus of producing a beautiful end product. She includes in her instruction a diverse range of information, from skin morphology to helpful hints in dealing with the numerous and frustrating problems which are often encountered when first learning to tan. Before the advent of modern tanning agents, humans were turning raw skin into usable leather products using very basic techniques and materials. 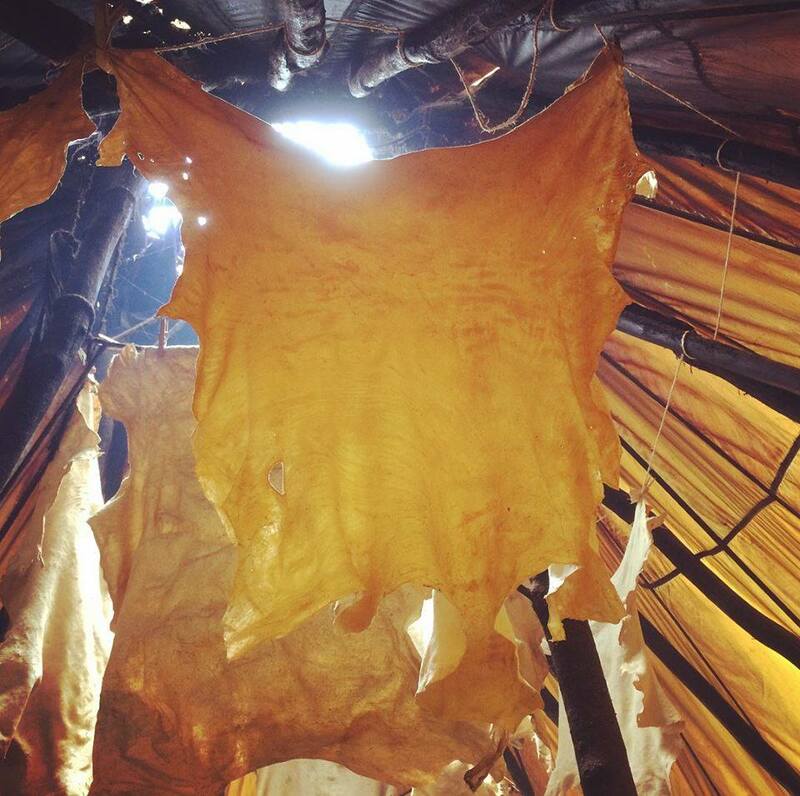 Learn to produce incredibly soft, strong and durable leather from raw animal skin using one of human kind’s earliest tanning technologies! Utilising materials readily available in the surrounding environment we will walk through the steps of this transformation. Over 2 full days this class will focus on tanning furs with a variation of fat tanning using brains as the dressing agent*. Whilst not for the squeamish the end product is worth the work! The class will cover rehydrating dried furs, de-fleshing, dressing and softening the fur skins, as well as smoking them so they can be easily washed. In addition to enthusiastic instruction I provide comfortable, easy to use tools and detailed handouts covering the tanning process, as well as ethnographic anecdotes and a list of helpful literature for those who wish to further their own knowledge of tanning! So, please join me for a course sure to contain plenty of memorable moments, lots of practical information and, if you put in the work**, one that will see you heading home with a beautiful, unique and usable traditionally tanned fur! ** Please be aware that a reasonable amount of fitness is required for this course. I will provide instruction on good technique and timing with the skins, but you will need to be able to be on your feet and active for 6 to 8 hours per day. Any serious injuries need to be discussed with me prior to booking onto the course please!